Samuel Torres - 29 Nov.
Torres was born September 4, 1976 in Colombia’s bustling capital city of Bogotá and was nurtured in this culturally sophisticated metropolis where jazz and classical music share the stage with salsa and an infinite variety of Colombian folkloric idiom. by the age of 12, Torres was performing with various Bogotá ensembles, developing techniques that allowed him to quickly adapt to the demands of jazz, pop music and salsa. A classically trained percussionist, he earned a degree in Music Composition from Bogotá’s esteemed Universidad Javeriana. Before departing for the U.S. in 1999, the resourceful young artist had become an established figure on Colombia’s hectic music scene, backing leading Colombian performers while serving as an arranger and music director for his country’s highly regarded telenovelas (TV soap operas) and films. Shortly after arriving in the U.S., his career took a dramatic turn when he was tapped by famed Cuban trumpet virtuoso Arturo Sandoval to join his group. Torres spent four years touring the world and recording with the jazz great, polishing his ever-expanding talents while attracting the attention of a long list of renowned artists with whom he would eventually collaborate. Over time, he would perform, arrange, produce and/or record with a veritable “who’s who” of the jazz, Latin pop and salsa world, including such luminaries as Tito Puente, Paquito D’Rivera, Chick Corea, Alejandro Sanz, Ricky Martin, Don Byron, Richard Bona, Lila Downs, Jeff “Tain” Watts, Angelique Kidjo, Marc Anthony, Rubén Blades, Fonseca, Andrés Cepeda, Thalía, and his country’s own international superstar, Shakira. His talents have also been featured in concerts with classical orchestras as Berlin Symphoniker, City of London Sinfonia, Boston Pops, Bogotá Philharmonic, Medellín Philharmonic, Delaware University Orchestra, Los Angeles Philharmonic and the Nashville Symphony. In 2006, Torres released Skin Tones, his debut recording as a leader and an album that quickly solidified his reputation as one of the most creative percussionists in Latin jazz today. The effort was trumpeted by JazzTimes magazine as “at once intelligent, sophisticated and explosive.” Then comes Yaoundé, the much anticipated follow-up session. The recording is even more stylistically adventurous than its predecessor, with 13 invigorating tracks that draw from the seemingly inexhaustible reservoir of Colombian folkloric traditions Torres has cultivated as well as African sonorities and shadings of funk and avant-garde jazz. On 2012 Torres was awarded a New Jazz Works Grant by Chamber Music America, for which he wrote Forced Displacement, a profoundly deep 10 movement suite that addresses a tragic issue occurring in his beloved native country. This project was released on 2015 for the Zoho Label. His second Concerto for Congas and Symphony Orchestra “Regreso” was premiered on 2014 at the world famous Berliner Philharmonie with the Berliner Symphoniker. On 2017 Chamber Music America awarded Torres for the second time the New Jazz Works Grant and composed his new project “Alegria” that will be released on the Spring. “… a keen-eared, light-handed percussionist [who] can draw a rainbow of intriguing sounds.” The Washington Post. 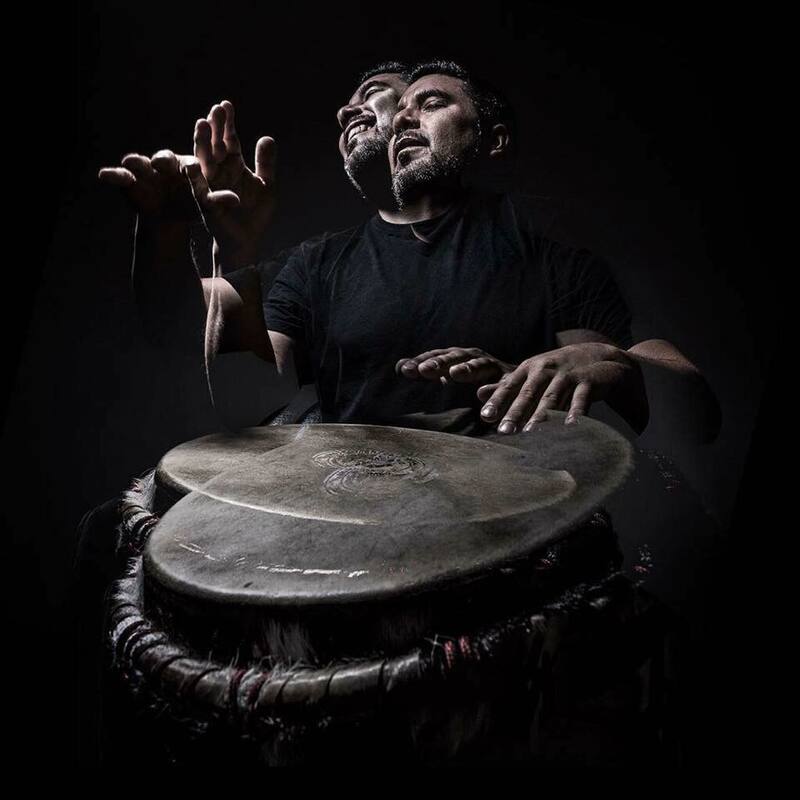 “… a ferocious conga solo by Samuel Torres that seemed not humanly possible.” The Boston Globe.